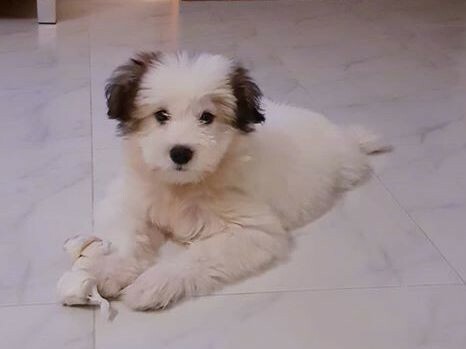 "Bourbon the Lhasa Apso mix breed puppy at 3 months old. He is an absolute gem, very soft and fluffy." "This is my puppy Maggie Mae at age 3 months old. 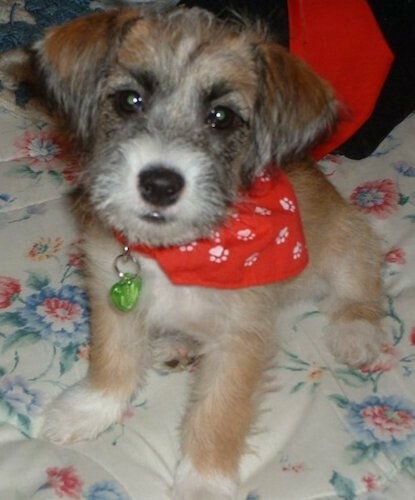 She is the off-spring of a Lhasa Apso male and a Jack Russell female. The Vet thinks a good name for the breed is a "Jack-Lhaps"."